The North Africa region has been, throughout known history, characterized by multiple migratory flows. Emigration is on the rise but the region did and does also host migrants, including externally displaced persons such as asylum seekers and refugees. In addition, North Africa is nowadays affected by irregular migration. While some migrants intended to reach Europe when beginning their journey, others either crossed the Sea after experiencing difficult conditions or violence or they have been forced or aggressively recruited by smugglers to make the crossing. Migrants living in this region – either with the intention of a long-term stay or in transit – often live in specific cities and targeted neighborhoods. Their cohabitation with host communities is at times complex. All States, including the five North African States, have the obligation and the responsibility to respect, protect and fulfill the human rights of all those within their territories, nationals and non-nationals alike. In the context of sovereignty, it is worth noting the obligation of states under international law to assist and protect their nationals abroad through the provision of consular services. A corollary of this is that a state is required to permit non-nationals who are on their territory access to consular officials from their country of nationality. “Consular protection and assistance is … seen as a logical consequence of a State’s duty to safeguard the human rights of its nationals, wherever they may reside, and of the migrants on its territory irrespective of status”. 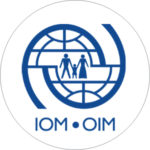 International organizations such as IOM support States in their duty to protect their nationals abroad and non-nationals in their territory, and also provides direct services. Civil society organizations, among other things, sometimes provide direct services to migrants. 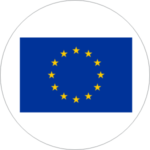 BOSLA, meaning “compass” in Arabic, serves as an inventory of information regarding services available that benefit community members in North African countries offered by either the government or other actors. BOSLA is available in Morocco, Algeria, Tunisia, Libya and Egypt. The BOSLA platform is implemented and managed by the International Organization for Migration (IOM). Bosla © 2018. All rights reserved. Our site collects cookies. Please accept.